A to Z 2012: Join in the Fun! 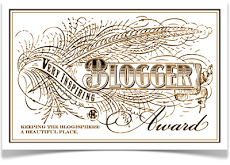 I'm doing the A to Z Blogging Challenge again this year and you should join me! 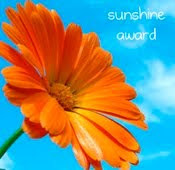 The basic idea is that for each day in April, excepting all Sundays save the first, you publish a post according to that day's theme letter. A on April 1st, B on the 2nd and so forth. Learn more here or by clicking on either the badge at the top of this post or the one on my sidebar. Here is a link to my own A to Z posts from last year. 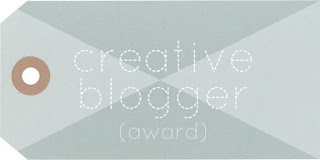 A to Z is a great way to make new friends in the blogosphere. Take a stroll through the list below of others planning to participate. I hope you'll join us! Beer tastings and wine tastings are fun but not exactly small child friendly. So when I saw there would be a honey tasting at Lake Champlain Chocolates in Burlington on Saturday afternoon, that seemed promising. My Wife was up for it but, shockingly, Our Girl was a tough sell on the idea. Here we were offering to take her to sample sweet things - at a chocolate factory, no less! She rolled her eyes at the suggestion that we might see Oompa-Loompas but we did finally manage to convince her that the excursion could be preferable to hanging out in her room all day. Off to town we went. First, lunch. We went to The Farmhouse Tap & Grill. My Wife had been once before but it was my first time. As it turns out, the place is a very popular choice for families with kids - a bit surprising considering the prices. My cheeseburger was $14. I once paid $17 for a cheeseburger, at Stage Left in New Brunswick, New Jersey. Crazy? Yes though, to be fair, it was far and away the best burger I've ever eaten. My burger on Saturday was pretty darn good, too. Worth $14? Sure, why not? The beer list is very impressive, another surprise given the number of children (though My Wife suggested that perhaps the beer was, in fact, the draw for parents). Keeping with the theme of our outing, I ordered a Kissmeyer Honey Porter but alas, they were out! Not to be deterred, our waitress suggested a very nice Russian stout as an alternative. On to the tasting. The honey tasting was a joint venture between Lake Champlain Chocolates and Slow Food Vermont. There were also representatives from The Vermont Beekeepers Association. In addition to the honey itself, we got to taste pollen and, of course, some honey-based chocolate treats. 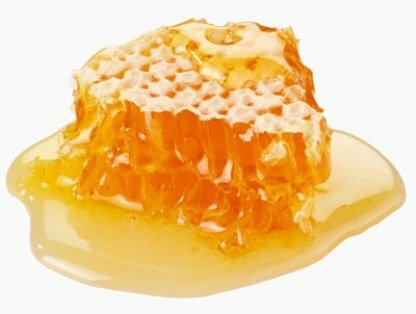 Honey is amazing stuff, varying greatly from region to region according to the local flowers being pollinated. We all enjoyed the tasting, even Our Girl. I'm sure the chocolate we bought on the way out didn't hurt her outlook. We've had some experience with Slow Food in the past. We were members when we lived in Jersey and even went to a meeting of the state chapter in Princeton. Overall, we were disappointed in the New Jersey gathering as some of the people in positions of influence appeared to have ideas very different from those of the broader movement. We had an interesting lunch, though, as we ended up at a table of mycologists. Mycology, of course, is the study of mushrooms. That Slow Food meeting is the only reason I know that. My Wife seems inclined to give the Vermont chapter a try. Pat McEnroe, after one of so many breathtaking rallies: "What can you say?" Fowler: "Thank you, to both men." Even Rod Laver looked a little uncomfortable being asked to share in the moment with these current titans. You could tell he knew the night wasn't about him at all. That had to be a tough loss for Nadal but he did well just to force the match to go the distance. Even with the loss, he's managed to close the gap between Djokovic and himself in the rankings. Rafa lost in the quarters last year so he'll build on his own points whereas Novak had to win today just to defend his. The admittedly enviable disadvantage to Djokovic's tremendous 2011 season is that he'll enter just about every event this year with champion points to protect. Nadal's way too good to allow the Serb to ever rest on his laurels. What will the next chapter in Paris bring? Regardless of what happens between now and then, Rafa will have to be the favorite to win. The draw will be crucial, I think. Which of them will have to contend with Federer in the semis? For Nadal, it probably doesn't matter but surely, Djokovic would rather face Murray or, frankly, anyone but Fed. I find it virtually impossible to root for Sharapova but on some level, it was good to see her gain a measure of revenge against Kvitova in the semifinals. Unfortunately, she didn't have enough left in the tank to put up much fight in the finals. Sharapova missed her chance to claim the #1 ranking but she'll still move up from #4. I'm always shocked to be reminded of her age. Only 24? Everything is skewed when you win Wimbledon at the age of 17. Many bemoan the lack of a single dominant player at the top of the heap in women's tennis but I think relative parity is wonderful. For the fourth Slam in a row, we have a first time Slam champion. Five different players have won the past five Slams: Clijsters, Li, Kvitova, Stosur and Azarenka. It's been nearly a decade since men's tennis has had anything approaching that run. Who would be the most likely player to keep both streaks alive in Paris? Marion Bartoli (France) would be my choice. 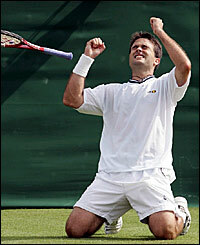 Bracciali had some decent singles success earlier in his career, peaking at #49 in the world in 2006. His shining moment came at Wimbledon that year, where he beat Ivo Karlovic (Croatia) in five sets and pushed Andy Roddick (USA) to five sets as well. He's cleverly managed to extend his career with doubles play. Lindstedt's Slam resume is pretty solid. He has now made it to at least the quarterfinals at all four Slams, including the Wimbledon finals twice. No Slam titles yet, though he does have 12 doubles titles overall. He and Tecau have been playing together since April 2010 and with great success: 12 finals, 6 titles. Their semifinal run in Aussie is a huge improvement on last year's first round exit so both men will get a big rankings boost. The lefty Muscovite had the tournament of her life, attaining her career-best Slam result and taking down three seeds en route. Color commentator Chris Evert, in particular, seemed determined to belittle her accomplishment, specifically her upset of Williams, claiming "anyone" would have beaten Serena the way she played. (She almost immediately qualified the statement, saying that maybe 20 players would have beaten her) While the statement may be true, it misses the point, I believe. Makarova did the deed and fully deserves the credit. But Pam Shriver delivered the line of the night. As Evert was prattling on about whether Makareva looks more like Steffi Graf or Gwyneth Paltrow, she said that Makarova wishes she had half of Graf's game. Pam's retort: "Gwyneth Paltrow wishes she had half of Makarova's game." Never mind today's pasting. It's great to see del Potro back on track. His fourth round finish is an improvement on last year's second round exit - enough to bolster his ranking going forward. His bazooka forehand alone makes del Potro worth watching but he's far from a one-shot wonder. He belongs in the top tier and has shown that he's fully capable of beating anyone. He's always a two-week hot streak away from winning his second Slam. Interesting, yet trivial fact I learned today: he is the tallest player ever to win a Slam tournament. Writing a review for a mystery novel is tricky. To write too much is to give too much away. To write too little is to be dull. I'll begin in generalities. 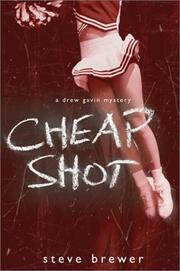 This was my second Drew Gavin mystery. I read and reviewed End Run just over a year ago. As such, I am already familiar with the central characters and interested in their well-being. I enjoyed this book a lot but it has some interesting differences from the first, best discussed after the spoiler alert. Not long ago, My Wife asked me which among my sports books I might recommend to her. I chose The Soul of Baseball by Joe Posnanski. I'd be interested to know, though, what she thinks of Brewer's books. As I've written before, she's read far more mystery novels than I and might very well enjoy these. They're sports-light, mystery-heavy which would suit her, I think. There is no surprise twist at the end as there was with End Run. In fact, the guilty parties are, more or less, exactly who you expect them to me. So, the book is less a whodunit mystery than the first. The fun is in watching Drew piece the puzzle together to help exonerate Curtis and in wondering how on earth our hero will make it to the end of the book without getting killed. Enough questions are left unanswered until the end, both in the investigation and in Drew's relationship with Teresa, to keep the reader involved. Overall, it's a fun read - not quite what I was expecting but fun. Zheng looked to be on the path to exciting things when she made the semifinals in Melbourne two years ago, the second Slam semi of her career. Instead her results since have been pedestrian. She's had a great start to 2012: winning a tune-up tournament in Auckland before making the fourth round at the Australian. Alas, she went down very meekly today: 6-2, 6-1. Just not enough left in the tank, I guess. Bernard Tomic (Curtain Call, Wimbledon Day 9) - Tomic's impressive run in Melbourne ended in the fourth round with a straight-sets loss to Roger Federer (3rd, Switzerland). Federer has done the same to many other players at many other tournaments. He is a professional reality check. Tomic is the future. There's little doubt of that at this point. He had five-set wins over two seeds at the 2012 Australian: Alexandr Dolgopolov (13th, Ukraine) and Fernando Verdasco (22nd, Spain). But he still has some work to do to challenge for the top of the heap. Tomic teamed with Jelena Jankovic (Serbia) in mixed doubles. The team made it to the second round before losing to the 7th-seeded team Andrea Hlavackova (Czech Republic)/Aisam-Ul-Haq Qureshi (Pakistan). Richard Gasquet (Golden Squid since 6/27/2011) - Gasquet had a strong tournament, matching his career-best in Melbourne by reaching the fourth round. He beat Janko Tipsarevic (9th, Serbia) rather easily in the third round, reminding everyone that he really does have Top 10 talent himself. Expectations will be higher at the next Slam, Roland Garros, where Gasquet reached the fourth round last year. Jurgen Melzer (Golden Squid since 1/24/2011) - Melzer was very busy in Australia, per usual of late. Unfortunately, the results were down from a year ago. He lost in the first round of the singles draw to Ivo Karlovic (Croatia), the 6-10 embodiment of the dangerous floater. His ranking will take a hit as he made it to the fourth round last year. His doubles result with partner Philipp Petzschner (Germany) was also down: third round this year compared to the quarterfinals in 2011. He teamed with Iveta Benesova (Czech Republic) in mixed doubles. They lost in the second round to the 6th-seeded Indian team of Sania Mirza/Mahesh Bhupathi. With a slick new jersey and shin guards attached with duct tape, I'm gradually working my way up to a respectable level of broomball gear. We have a bye week coming up and I aim to go helmet shopping. 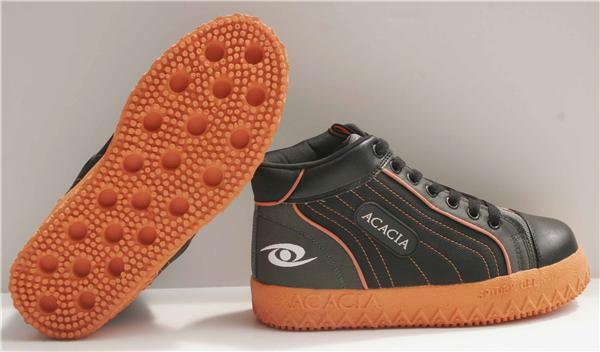 Blue Liner has ordered specialty broomball shoes. To think, but a few months ago, I'd never even considered that such a thing existed. They're $90 a pair so not a casual investment. If he notices a difference, I may consider doing the same. We lost again this weekend. 6-1 was the final score. There are moments when we play really well and scoring goals is always encouraging. But there is, obviously, still a lot of room for improvement. I feel I've gotten incrementally better at a few things. I'm getting the hang of winning the ball off of an offensive player. I'm getting better at passing. I am careless around my own net, though. Two of the goals we allowed were deflections off of my stick (Blue Liner claims he's still one ahead of me for own goals but he may have just been trying to make me feel better). I'm still not comfortable moving around on the ice, either. Of course, the ice has been particularly slick the past two games as the skating class before us insists on having it cleared. Still, better shoes would help a lot. Our team play has improved quite a bit, I think. We talk a lot more. We have a better sense of positions. The new shirts have helped to foster a sense of identity. But, in addition to opportunities to practice, I feel we could use a stronger sense of purpose and, occasionally, perspective. I want to win. I want to learn to play better. But more that anything, I want to enjoy the time with my colleagues, win or lose. Lopez is 30?!! That doesn't seem possible. I suppose beauty makes everyone look younger. For once, Nadal was not the most handsome Spanish lefty on the court, but he continued his dominance over his countrymen nonetheless. Lopez is aging well, currently enjoying the highest ranking of his career. Unusual for a Spaniard, he's at his best on a faster court. His only two ATP titles are on hard courts and his best Slam results are at Wimbledon, where he's reached the quarterfinals three times. He's reached at least the fourth round at all four Slams. Ultimately, his greatest legacy may be in doubles. He's reached the third round in doubles at all four Slams, plus quarterfinal runs at the Australian and US Opens. Most significantly, he has been absolutely vital to Spain's success in Davis Cup competition where he typically teams with fellow lefty Fernando Verdasco. They'll likely be a pair to watch at the Olympics. With this result, Cirstea has reached at least the third round at all four Slams. Only at Roland Garros has she made it beyond, attaining the quarterfinals in 2009. Romania has a strong presence in the women's rankings. 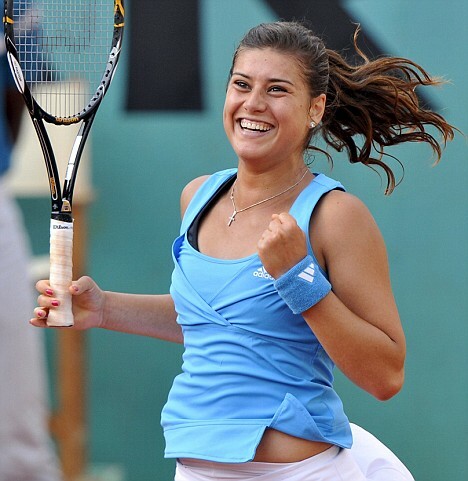 At #59, Cirstea is only the fourth-highest ranked Romanian woman, behind Monica Niculescu (#32), Irina-Camelia Begu (#41) and Simona Halep (#50). Angelique Kerber (Curtain Call, US Open Day 13) - In reaching the third round, Kerber matched her career-best finish in Melbourne. Then she encountered the buzz saw that is the in-form Maria Sharapova (4th, Russia). Kerber has a great opportunity to boost her ranking this year. She lost in the first round at both Roland Garros and Wimbledon last year. She'd do well to rack up some wins before she has to defend her semifinal points from the US Open. Juan Sebastian Cabal (Curtain Call, Roland Garros Day 14) - In his first four Slams, Cabal has now managed to make it to at least the second round in the doubles draw. In Australia, he teamed with countryman Robert Farah. In the second round, they ran into a couple of doubles legends, the second-seeded team of Max Mirnyi (Belarus)/Daniel Nestor (Canada) who have won 12 Slams between them. The Colombians fell in straight sets. Cabal/Farah will be an interesting team to watch in this Olympic year. They won the gold medal in doubles at the Pan Am Games in October. Due to his great ascent over the past year, I award Cabal the Golden Squid, the first to receive the award entirely on the strength of performance in doubles. Greta Arn (Golden Squid since 5/24/2011) - At age 32, Greta Arn keeps on rolling. She got thumped good by Serena Williams (12th, USA) but her third round finish is her career-best in Melbourne. Her Slam results were modest in 2011: three first round exits and a pass on Wimbledon. So, if she can stay healthy, she should be able to improve her ranking. At 26, Bratchikova qualified to reach her first-ever Slam main draw. She even managed to take out a seed in the first round. The ESPN commentators (I believe Taylor Dent was the color man) were, I think, suitably impressed. In the past, I've often felt that commentators are dismissive of journeyman players but for Bratchikova, they made a big deal out of the fact that this was by far the best result of her career. That is as it should be. Romina Oprandi (Curtain Call, US Open Day 3) - All of the former Curtain Calls I'm catching up with today took down a seeded player before they left town. Oprandi beat countrywoman Francesca Schiavone (10th) in the second round. However, she lost in the third to Julia Georges (22nd, Germany). By reaching the third round, she has attained her career-best Slam result. Christina McHale (Curtain Call, US Open Day 5) - McHale beat the 24th seeded Lucie Safarova (Czech Republic) in the first round en route to a third round finish, her best in Melbourne. She lost to Jelena Jankovic (13th, Serbia) in straight sets. She teamed with Angelique Kerber (Germany) in doubles. They lost to the top seeds in the first round: Kveta Peschke (Croatia)/Katarina Srebotnik (Slovenia). Alejandro Falla (Curtain Call, US Open Day 4) - Falla won the biggest scalp of the three, besting Mardy Fish (8th, USA) in the second round. The Colombian left lost in the third round to Philipp Kohlschreiber (Germany) in straight sets. He teamed with countryman Santiago Giraldo in doubles. They lost in the first round to the Brazillian team, Ricardo Mello/Joao Souza. The Australian has been a great Slam for Hampton. I featured her here last year, too, on Day 1. Even though she was served an egg and bacon by Sharapova today (losing 6-0, 6-1), this is her first time reaching the second round of a Slam. The Alabama native is actually higher ranked in doubles at #90 but is not participating in doubles in Melbourne. Sloane Stephens (Curtain Call, US Open Day 6) - Stephens is not yet 19 and the future looks bright. She went down in straight sets to Svetlana Kuznetsova (18th, Russia) but made the two-time Slam champion earn it: 7-6, 7-5. Stephens also entered the women's doubles draw, partnering with Ksenia Pervak (Kazakhstan). The pair lost in the first round to Rika Fujiwara/Ayumi Morita (Japan). Rebecca Marino (Golden Squid since 6/24/2011) - Marino lost in the first round to Greta Arn (Hungary), another Golden Squid, in straight sets. Not only is she currently the highest ranked Canadian woman on tour. She is, in fact, the third ranked North American, behind only Serena Williams and Christina McHale, both of the United States. She teamed with Irina Falconi in doubles. They lost in the first round to the 4th seeded team of Gisela Dulko (Argentina)/Flavia Pennetta (Italy). Tobias Kamke (Golden Squid since 1/17/2011) - Kamke deserves great praise for the match he turned in against Alexandr Dolgopolov (13th, Ukraine), pushing him to 8-6 in the fifth set. By reaching the second round, he attained his career-best in Melbourne. He played doubles with Frederik Nielsen (Denmark). The pair lost in the first round to the Spanish team of Pablo Andujar/Guillermo Garcia-Lopez. This is Chang's best-ever finish at the Australian. She has yet to get past the second round at any Slam but she's young. There's still time. Architecture is her top career alternative choice - a regular George Costanza! Marina Erakovic (Curtain Call, Roland Garros Day 3) - It was a short tournament for Erakovic, losing in the second round of the singles draw and the first of the doubles. But it's still an improvement on last year which makes four Slams in a row. She's climbing the rankings steadily as well. As such, she has earned a place as the newest Golden Squid! I caught a fair amount of her match with Christina McHale (USA). I admire her aggressive style. Her trouble appears to be with consistency. The match was really hers to lose and she seemed to lose her nerve at closing time. One hopes she'll benefit from experience. Juan Carlos Ferrero (Curtain Call, US Open Day 8) - Ferrero fought bravely but eventually fell to Viktor Troicki (19th, Serbia) in five sets. This was Ferrero's 11th Australian Open. His best finish was the semifinals in 2004. He missed a lot of 2011 with an injury so even at age 31, he has an opportunity to boost his ranking, currently #48 in the world. Gojowczyk, born in Dachau, went through qualifying to reach his first-ever Grand Slam main draw. In fact, today's match was only the second of his career at the ATP level. He qualified for the main draw in Munich two years ago, only to lose to Marcos Baghdatis (Cyprus) in the first round. Bridge Street Cafe in Richmond, Vermont has long been our favorite comfort food restaurant. They passed my club sandwich test a long time ago - fresh homemade bread always makes for a strong entry. They do an excellent Sunday brunch. Today, I went with French toast and a side of ham: an old standby, very satisfying on a bitterly cold day. It's a family establishment - very warm and friendly. We could hear the kitchen staff singing along with the radio. It's definitely my kind of place. We had our first broomball game of the winter season on Saturday night. Mock's cousin, The Carpenter, has lent me a pair of shin guards. I was very grateful for them as the ice was ridiculously slippery. Usually, there are hockey players on the ice before us and they chop up the surface quite effectively - ideal for broomball. Last night, there was just an adult skating class on before us. 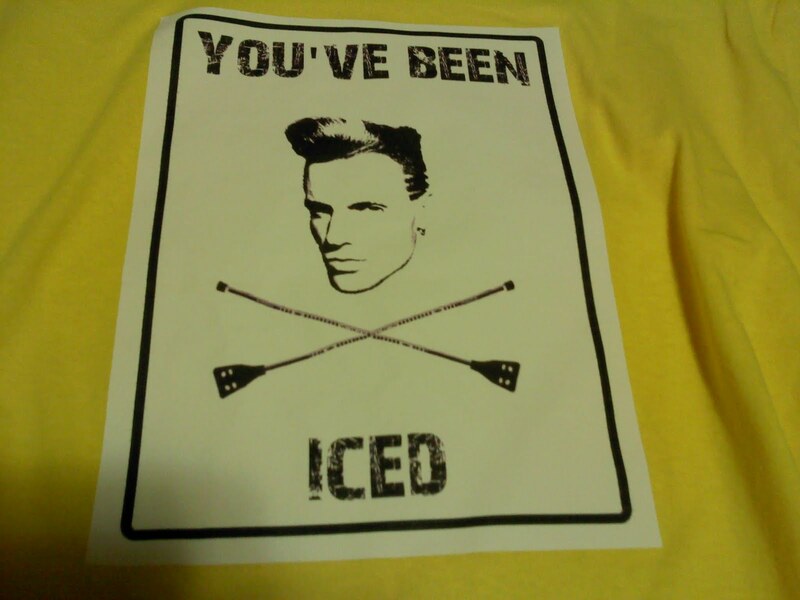 Someone needs to invent an anti-zamboni for broomball ice. Perhaps we should bring ice picks next time. 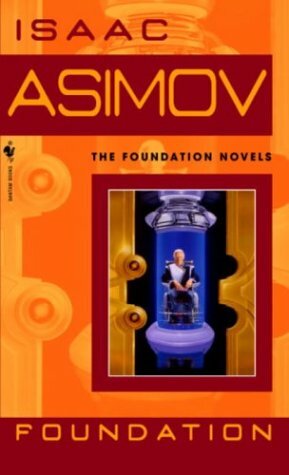 I first read Foundation in my early teens, then made it through the next three books in the series. I've read an awful lot of other books since then. Most significantly, I've tackled Machiavelli. The Foundation series is really more political science fiction than anything else and I appreciate the story in a completely different light through a Machiavellian filter. Good books inspire one to read other books and I now feel I should reread The Prince, plus Discourses on Livy. However, Asimov's inspiration was Edward Gibbons's The History of the Decline and Fall of the Roman Empire. I'll add all of those to my to-read list, along with Dante's Inferno, which is frequently referenced in classic science fiction. If we learn anything from such works, it is that the basic nature of power never changes and, as a result, history is doomed to repeat itself. Foundation foretells the rise of theocracy and despotism not because Asimov was a prophet, but because it's all happened before. Nearly every science fiction writer who followed owes a debt to Mr. Asimov. George Lucas, in particular, surely used Asimov's road map in creating his own Galactic Empire. A strong central authority being challenged by restless elements on the fringes of the galaxy - sound familiar? The character of Han Solo (and, later, Firefly's Malcolm Reynolds) has roots in the merchant-adventurers of the Foundation series. The Star Wars prequel trilogy makes attempts at achieving the macro-cosmic political scope of Foundation but, at least in my opinion, far less effectively. 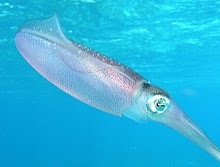 One major difference in subsequent visions of interplanetary society is the existence of alien species. Everyone in the Foundation narrative is human, evidently descended from Earth in a long-forgotten past. Alas, Asimov had no Wookiees or Klingons. The danger of futuristic narrative is that the technology envisioned can seem archaic after only a few decades in real time. For instance, nuclear energy, while certainly important to the world economy, has followed very different directions from what Asimov prophesied in the 1940s. Also, everyone in the book smokes like a chimney. While it's possible that tobacco may have a resurgence over the coming millenia, the habit is in welcome decline in the 21st century. It is my plan to read and review the entire series - originally a trilogy but now containing seven books in all. The first four, as noted above, are re-reads but three will be completely new to me. I'm looking forward to them. My instincts were correct. My Wife's purchases at Big Planet Comics in DC were better than mine. The Drops of God, a Japanese manga series first published in 2005 but not translated to English until 2011, is outstanding. I am completely sold on manga and now have a suitable standard for judging other books in the genre. The series follows the adventures of Shizuku, son of a legendary wine critic, and his sidekick Miyabi, a sommelier in training, as they explore the world of wine. Basically, they're on a scavenger hunt for wines described in Shinzuku's father's will. The Drops of Wine has been a very big hit throughout Asia and has led to a huge surge in wine sales on that continent. While the story is pure fiction, all of the wines discussed are genuine. The books practically constitute an oenology course, my only regret not being able to taste along with the characters. My Wife has worked for a lot of food and beverage magazines in the past and, as a result, already had a decent knowledge of wine by the time I met her. While I learned some from her, my explorations took on a more clear direction when we lived in New Brunswick, New Jersey. There was a wine shop in town (Old Vines) that held tastings on the weekends: $5 to taste four wines, I think. 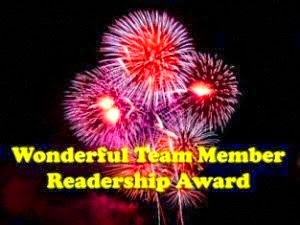 The staff were very well-informed and generous with their knowledge. I learned to favor South American wines - a lot more bang for your buck than the French stuff. Rutgers offers a 1-credit class on wine for seniors only. Not surprisingly, it's one of the first classes to close every semester. Sadly, wine is an expensive hobby and not always compatible with raising a child so we don't pursue it with the same energy now. But someday, I'd love to learn more about wine. If nothing else, I've found that it's well-worth finding out what you like in a wine and how you're likely to find a satisfying choice. The artwork in the book is outstanding. In Understanding Comics, Scott McCloud wrote about how the Japanese pioneered the use of different artistic styles within a single comic. In The Drops of God, the art changes dramatically for a panel devoted entirely to wine - changing from what I think of as the standard manga style to near-impressionism. Ultimately, the wine lesson and the artwork serve the story and we're both genuinely hooked. Volume 2 ends with the introduction of a new character, one who clearly is connected to the wine quest but it will be a neat trick figuring out how because, of course, she has amnesia. How's that for a cliffhanger? The series is ongoing in Japan and Volume 3 in English is set for release in March. Not only are we planning to get it but we're already thinking of friends for whom the books would make suitable hostess gifts. This one's a keeper. Stay tuned. Fight Song: "Fight for LSU"
This year's BCS championship was also a showcase for two of the best bands in the Southeast Conference. The two people I know best in the group finished at the top. Mock won the group - in fact, he'd clinched the top spot with one game left to play. An old high school friend of mine, whom we shall call The Bomber, came in second. All of the people ahead of me picked more games correctly than I did. But, so did five who finished behind me. As such, thoughtfulness in confidence point allocation is clearly worthwhile. Once again, following the regular season more closely definitely helped. Fight Songs: "Hail Varsity" and "Dear Old Nebraska U"
My Huskers lost this past week but at least the band got a trip to Orlando out of the deal. The band once played at the Kennedy Center for the Kennedy Center Honors. With two games left to go, it is mathematically possible for me to finish anywhere between 1st and 8th in the group. Finishing 8th would still be an improvement on last year's 9th out of 10 so I'll take it. So, following the regular season more closely definitely helps. But will it be enough to get me a top 3 finish? During our recent DC visit, we overlapped briefly with My Aunt who was visiting from Omaha. We hadn't seen her since our wedding ten years ago and she had not yet met our daughter. One of the highlights of that visit was listening to her and My Dad reminisce (largely at my request) about their high school marching band's trip to the Rose Bowl in 1959. The small town of Columbus, Nebraska had one of the best marching bands in the state in the late '50s. The ambitious and demanding director first applied to participate in the Tournament of Roses Parade in 1957 but was turned down. Determination brought a successful application for the '59 parade and this town of 13,000 managed to raise $18,000 for the band to go - not a small amount of money in 1959. They were one of only four non-California bands to march in the parade that year. On Tuesday afternoon, we all watched a DVD conversion of a home-movie documentation of that Pasadena trip 53 years ago, which also included performances at Disneyland and on an aircraft carrier. As much as I enjoyed seeing all of the old cars, clothes and hairstyles, the real fun for me was watching My Dad and My Aunt as they recognized the faces, most not seen by either in many years. Though he couldn't have known it at the time, the Rose Bowl adventure was a major turning point in My Dad's life. As was the case for many of his companions, it was his first trip to California. When he got back to Nebraska, a guidance counselor asked how he'd liked it and had he heard of a school called Stanford. My Dad applied and was accepted. Stanford led to the Peace Corps. In the Peace Corps, he met My Mom. Before the Rose Bowl trip, he fully expected to go to college in-state and the rest of his life path would likely have been very different. Moral of the story: support the music programs at your local school. When they're holding fundraisers for band and choir trips, don't be stingy. One never knows where such experiences might lead. This was just the sort of book I needed. 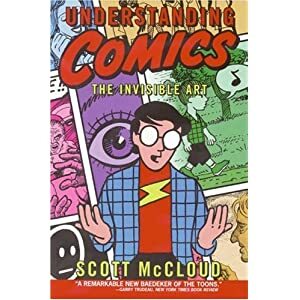 My comic book posts, and indeed my whole blog, has been in need of direction and Scott McCloud's examination of the art form is a great place to start. Anyone who's already into comics is probably well aware of McCloud's work. He has now produced three books, presented in comic form, outlining the tricks and trends of the trade. Understanding Comics was the first, published in 1993. The book first came to my attention when it was recommended by Daniel Pink in his very interesting book, A Whole New Mind. This year, it was one of my Christmas presents from My Wife. Employing the comic book idiom itself, Understanding Comics shows as much as it tells - very helpful and truly essential to the points McCloud is trying to make. It's a quick read except for the fact that I had to stop a lot to absorb the material. I now have a lot to think about as I continue my explorations of the medium. To this point, I've approached comics primarily as a reader, thus focusing on elements of plot and character in the text. I have given less thought to how the artwork serves those elements. As McCloud demonstrates, the real trick is synthesizing art and language to communicate effectively. I readily admit my own relative ignorance regarding visual art. In my youth, I received far more encouragement in the realms of music and literature, in no small part because I had more ability in those areas. I've pursued an interest in visual arts as an adult but my knowledge still lags far behind. If I'm to continue exploring comics as a reader and a blogger, I'd like to devote some time to learning more about the graphic aspects. I especially appreciated the cross-cultural examinations. Manga are the dominant literary force in Japan, or at least they were when I was there in the '90s. Looking around the average train car, far more people were reading comic books than either newspapers or regular books - adults and children alike. However, since I wasn't even into comic books in English at the time, I failed to appreciate the completely different aesthetic which has developed in Japan. My daughter, actually, is already well into Japanese manga, in translation, of course. She has several of the books adapted from Hayao Miyazaki's films and seems untroubled by having to read from right to left. Her favorite, however, is the Chi's Sweet Home series. Whenever she gets a new book in that series, she'll curl up on her bed to read it probably several times through, not to emerge from her room again for hours. McCloud's thoughts on the balance between the literary and artistic quality of a work are also relevant to a genre I've explored quite thoroughly over the past 8+ years: children's picture books. In my experience, it's rare to find a book in which both aspects are strong. The vast majority have either beautiful artwork with uninspiring text or the other way around. To me, the children's book which best synthesizes the two is Maurice Sendak's Where the Wild Things Are. In fact, just about everything Sendak ever touched is amazing. I definitely plan on checking out McCloud's follow up books. I highly recommend Understanding Comics to anyone with an interest in comics or the artistic process in general. 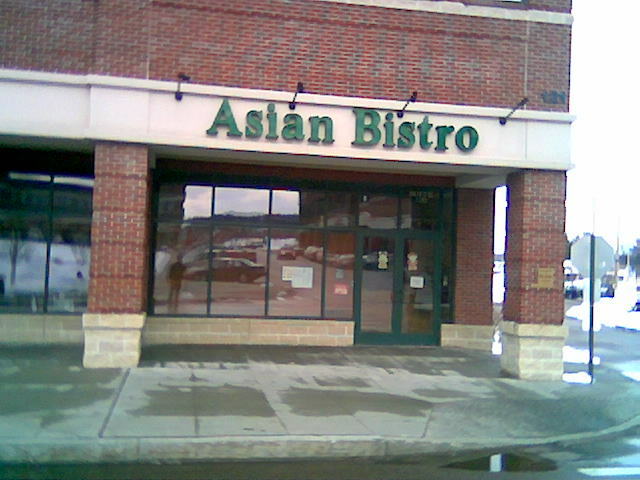 While out on errands on Saturday, we stopped for lunch at the Asian Bistro in Williston. It's a bit further from our home than Joyce's Noodle House in Essex but apparently My Wife prefers their lo mein to Joyce's. I had no idea. It was chicken fried noodles for me - not bad but, as usual, My Wife ordered better. We went to the Mocks' for an early evening New Year's gathering. We brought over a new game to share: Dixit. 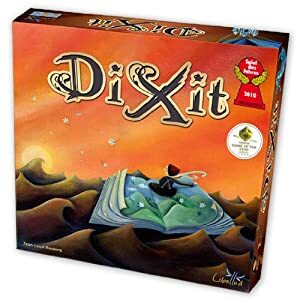 My Wife has had her eye on Dixit for a while now and bought it as a gift for our family. It's a sort of story telling/guessing/fool your opponents game. It's a lot of fun: easy to learn and perfectly suitable for a wide range of ages. The game is technically limited to six people and we had seven which was a little funky but two of the kids volunteered to play as a team so it worked out fine. It allows for a low-key atmosphere, too - not overly competitive and we could all be happy for the winner, Mrs. Mock in this case. Pictionary was a different story. Things got a lot more emotional with that one! I hadn't played in years but it was fun. My team struggled but we made a strong effort in the end. The toughest word I had to draw (unsuccessfully) was current. We brought over Duck Soup to share. It's long been our tradition to watch Marx Brothers movies on New Year's. Evidently, they tended to be on TV when My Wife babysat as a teenager on New Year's (I'm still learning new things about her all the time). Apparently, it's a long-standing tradition for loads of people. TCM had a New Year's Eve Marx Brothers marathon this year. Here I thought it was just her clever idea! Duck Soup is my favorite Marx Brothers film, though I also like Horse Feathers, the first one I ever watched. The adults watched more than the kids did last night. Those kids who did wander in and out were mostly confused by it - understandable if you're not paying close attention, I suppose. Before I sign off, I'd like to take a quick moment to express my disappointment with Fantasy Tennis Tour. Due to their apparent compatibility issues with Firefox, I wasn't able to log in and make my picks for the opening tournaments of the year. It's not worth the weekly frustration so I'm bagging the idea for the year. Oh well. 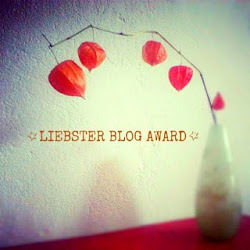 I dare say I'll find other things to write about! I'm down to two titles of interest from DC Comics's New 52 relaunch: Green Lantern and Justice League. It is not lost on me that both series are currently being written by Geoff Johns, clearly the most compelling creative force in the DC Universe. Unfortunately, I think the fourth issues are the end of the road for me with both. Green Lantern is still my favorite of the New 52 stories and if I were to keep one foot in the DC Universe going forward, I would place it in the GL world. Sinestro's a keeper and the idea of his own people turning on him after he's bestowed temporary rings upon them is almost enough to hold me. But I foresee more brawling and I've officially had enough. I realize the ongoing battle royale is a major draw for the mainstream comics audience just as hockey fights are crucial for NHL diehards. I need more...or, rather, less. The same goes for Justice League. Now that all of the major characters have been introduced, I don't have sufficient interest in the Darkseid story to continue. Aquaman is still my favorite character (My Wife's, too, interestingly), just as he was when I was a kid. I'm glad to see that he's less of a jerk in issue #4 than he first appeared to be in #3. Day 2 of our DC adventure was espionage-themed and, on Mock's recommendation, I picked up a couple of spy titles: Cold War and Frenemy of the State. Both were fun but I preferred Cold War. 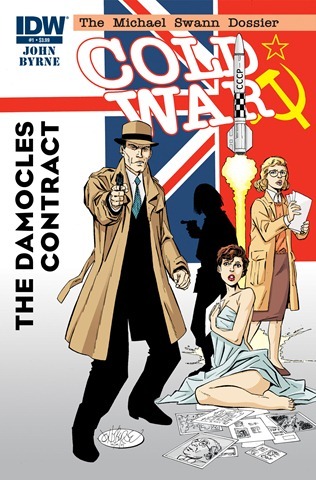 I bought issue #1 of The Michael Swann Dossier, entitled "The Damocles Contract." I liked a lot of things about this book: the long, non-verbal opening; the traditional, Bondesque set-up and the closing cliff-hanger. I'm genuinely curious about the next installment. There's definite long-term potential here. Frenemy of the State #5, while also enjoyable, was less appealing to me. I appreciate the idea of a 21st century update on the spy concept, but it emphasizes aspects of our contemporary culture which I find annoying, namely cell phones and texting. A female lead is a nice change, though. As part of my anticipated expansion into the realm of science fiction, I have sought out comic books from that genre. The pickings are surprisingly slim, especially for books which don't have movie or television origins. One series I've avoided to this point is Star Wars. I should have known better. I have been obsessed with the galaxy far, far away since I was four years old and the past 34 years have done very little to sate my curiosity. My devotion, though, is to the original film trilogy and I tend to be skeptical of any variations. 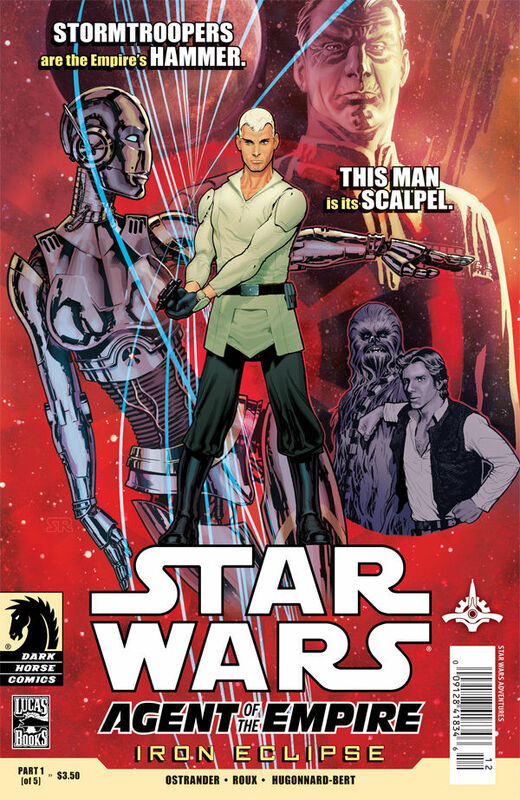 Thus, for my original venture into Star Wars comics, I thought I'd try the two series I could find with strongest ties to the characters I know and love. I grabbed Star Wars: Agent of the Empire - Iron Eclipse #1 and Star Wars: Crimson Empire III - Empire Lost #1. The first pre-dates the original trilogy and feature Han Solo and Chewbacca in cameos. The second takes place after the trilogy and features Leia. Both were good enough to convince me that I may have been missing out on something all these years. I wonder, in fact, if the DC titles I bought suffered somewhat in comparison. As interesting as I find the Green Lantern story, it pales in comparison with my love for Star Wars. 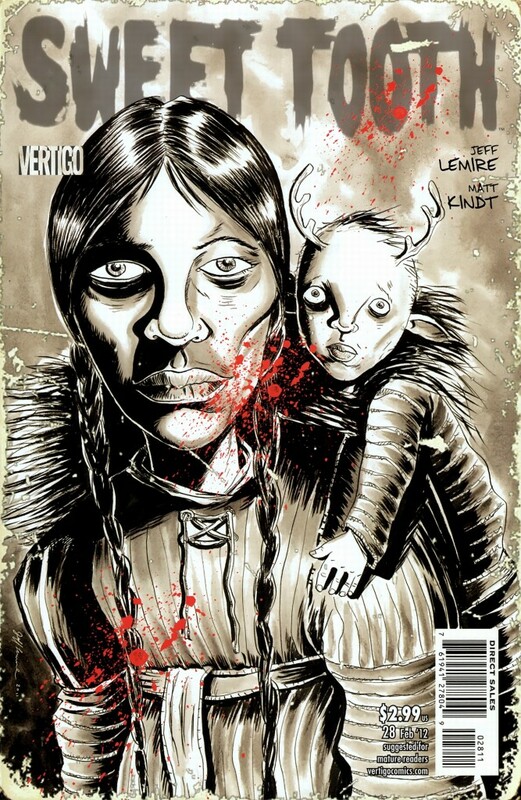 A while back, a shop clerk suggested Sweet Tooth as a book to try so I grabbed issue #28. In short, I didn't care for it at all - quite grotesque. I won't be following that series any further. As discussed before, I am a Marvel man at heart and a Wolverine fan most of all. 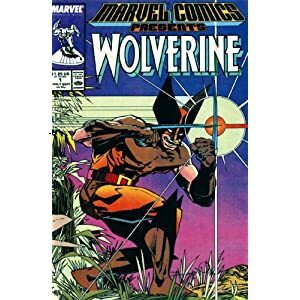 I bought the Marvel Comics Presents: Wolverine compilation and thoroughly enjoyed it. Just as in the DC books, there's plenty of scrapping with Wolverine but it's always tied to a broader sense of character and I appreciate that. I thought I'd try a couple of Marvel characters I don't know as well: Thor and Iron Man. Unfortunately, neither The Mighty Thor #9 nor The Invincible Iron Man #511 did much for me. Thor isn't actually featured very much in this book. There's a lot more Loki. While Thor stories pique my curiosity about Norse mythology, they don't do much to inspire me to read comic books. Meanwhile, I see some potential in Iron Man but the idea of a business mogul superhero is less than inspiring to me. 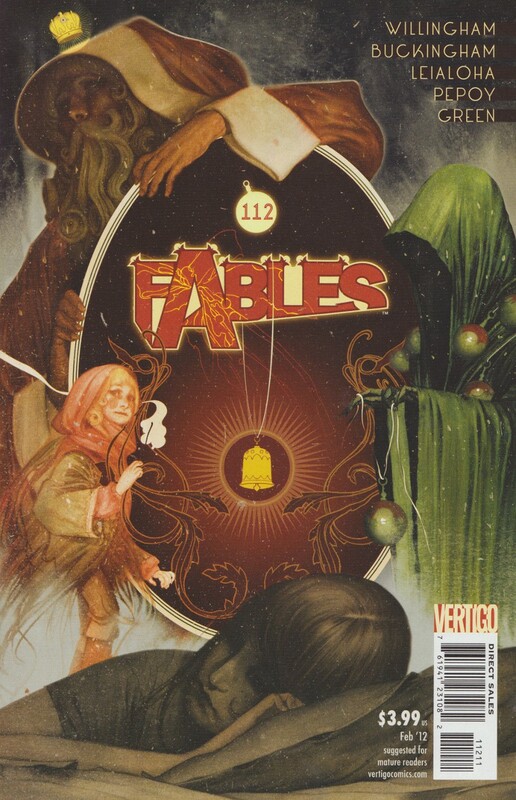 Definitely one of the hot titles in comics right now, I figured I'd give Fables #112 a try. I like the concept a lot but the broader story wasn't particularly compelling to me. I enjoyed the book but I don't think this is one I'll follow long-term. As I've written before, I often feel that My Wife tends to order better than I do in restaurants. I find myself very curious about her Big Planet buys, though I haven't read them yet: Super Spy: The Lost Dossiers and The Drops of God, Books 1 and 2, a Japanese manga series about wine. On Friday night, we got back from a quick trip down to DC to visit my parents. As has been our custom of late, we took the train there and back. Some dining advice for anyone taking the Vermonter all the way through: it's best to hit the café car right after New York, where they restock. Most train fare is pretty awful but it helps to have choices. The teriyaki chicken bowl is my personal favorite. One of many great things about grandparents is their willingness to babysit. My Wife and I took advantage of this on our second day to plan a late afternoon/early evening date. My Wife really wanted to see Tinker, Tailor, Soldier, Spy while we were in town so we used that as the inspiration for a spy-themed extravaganza. 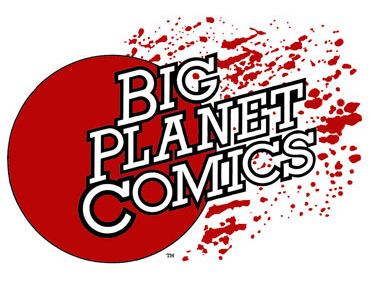 Our first excursion of the day was to Big Planet Comics, not far from my parents' apartment. 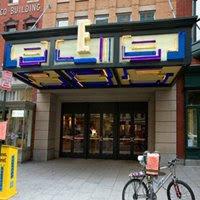 Big Planet just recently moved their DC store from Georgetown to U Street. I was rather hoping for a store comparable to That's Entertainment in Worcester but Big Planet has nowhere near as much space. All of their comics were new. I didn't see second-hand boxes anywhere. Nonetheless, variety was more than adequate for both of us to find decent treasures. We even grabbed some spy-themed titles in honor of the day. My thoughts on my finds are best handled in a separate post, I think. 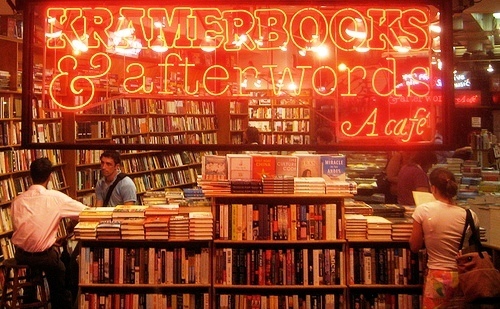 On the way to the subway station, we stopped in at Kramerbooks, one of northwest DC's top-notch independent book stores. We didn't find any spy novels but there were some other good finds: a couple of Asimov books plus George Plimpton's Paper Lion. I've been wanting to read Plimpton for a while now but his sports books are hard to find these days. Paper Lion has been released as a 45th anniversary edition - what an odd number. Next, on to the movie. The Landmark E Street Cinema is a relatively new theater, just opened in 2004. It's a nice one. I love the new trend of being able to purchase beer at a movie theater. The film was very good, the highlight of our spy-themed day. We first ventured into John Le Carré's world via the 1979 Tinker, Tailor, Soldier, Spy TV series on the BBC, starring Alec Guinness. My Wife has also since read the book and has been very eager to see the new film, especially since two of her favorite actors are in the cast: Colin Firth and Benedict Cumberbatch. Gary Oldman stars as George Smiley, the Guinness role. I think he was a fine choice. In fact, I can hardly imagine a better choice. I can understand why someone might not care for the film. The pace is very slow, the tone very quiet - both of which reflect the TV series perfectly. It did help me to already be familiar with the story. Since I knew whodunit, I could focus on other aspects. The look of the film was very satisfying: dark, murky, foggy. Attention to time period detail was thorough: the right cars, the right clothes, the right hairstyles, etc. Casting all around was outstanding. Obviously, going from a book, to a seven-part TV series to a feature film required much condensing and there were plenty of differences in this latest interpretation. The confrontation between hero George and nemesis Karla was an interesting case. In the 1979 series, Guinness faces off against Patrick Stewart in the scene. In the new film, Oldman interrogates an empty chair - only an actor of his ilk could have pulled it off so effectively. I was inspired to read the book myself and perhaps even give the TV series another look - overall, 4 out of 5 stars. If the film was the highlight of our day, the disappointment was the International Spy Museum. That's not to say that it's not a high quality museum. It is. If you want to see loads of Q-esque spy gadgets from all over the world, they're all here - including a replica of James Bond's Aston Martin. The history of espionage is well-documented from antiquity to the present. Here's the problem: museum admission is $18 for adults. In a city where one has access to the world's largest museum complex free of charge, any institution charging even a modest admission had better have something pretty special on offer. The attempts to offer an interactive experience are admirable but not sufficiently accommodating for the large crowds passing through. In the end, I felt that I'd rather just read a good book on the subject. Our espionage date culminated at Zola, the museum's fine dining establishment. Theme elements are light: images from classic spy films like The Third Man grace the walls. Beer and wine selections were pretty good and the food decent. The carnitas tacos were my favorite. Service was mediocre - polite but inefficient. No one ever brought us bread for the table, for instance. The third day of our visit was busy as well. In the morning, we took Our Girl to the National Museum of American History. I have visited the museum many times in my life but it had been a while. The museum has seemingly been in various stages of renovation for decades. Long gone is the old-fashioned ice cream shop, once my favorite part of the entire Smithsonian. It's still a great museum, of course. I think the dollhouse display is impressive but Our Girl was underwhelmed - lack of Calico Critters, perhaps? Not surprisingly, the Jim Henson display is my personal favorite. In the late afternoon, my parents treated us to a performance of Knuffle Bunny at the John F. Kennedy Center for the Performing Arts. The Kennedy Center is an important place for our family. My father has sung with the Choral Arts Society of Washington for over 30 years and most of their concerts are at the Kennedy Center. Both my sister and I walked across the concert hall stage for our high school graduations. This was the first visit for both My Wife and Our Girl and we took some time to appreciate the Hall of Nations, the Hall of States, the view of the river and, of course, the gift shop. I would never turn up my nose at my parents' generosity but we all agreed that Knuffle Bunny was best suited for kids - not exactly adult-friendly. Our Girl enjoyed it, though. That's all that really mattered. Dinner was a greater success: Mama Ayesha's, a DC institution since 1960 and long a favorite of our family's. Vermont is wonderful but among other things, it lacks a decent Middle Eastern restaurant. My Wife's Lebanese family heritage is very important to her, especially in terms of her culinary sensibilities so the opportunity to reconnect when we're in a big city is very exciting. I often feel that My Wife orders better than I do in restaurants but I did pretty well at Mama Ayesha's. The mushakal mashal (mixed grill) is outstanding. As one would hope for a Mediterranean restaurant, the wine list is very impressive. Overall, it was a great trip. We're looking forward to our next visit.